As much as we treasure all those classic Thanksgiving recipes, we think they could use an update, so that’s what we’ve been on the lookout for this fall. We want recipes with more of the fun superfoods we’ve been exploring, and maybe without some of the other ingredients we’ve been avoiding. But we still want those dishes to taste like Thanksgiving. You know? 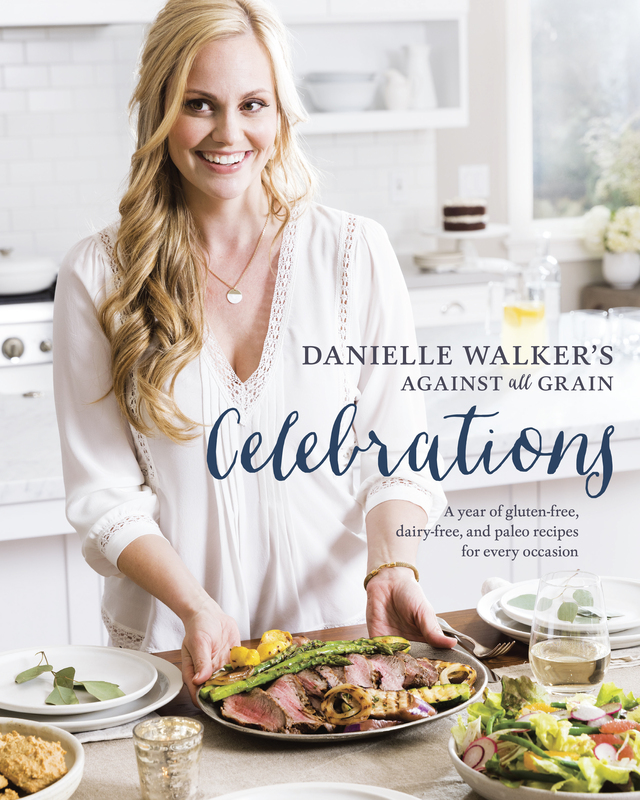 Enter Danielle Walker’s Against All Grain Celebrations cookbook. The food blogger has waved her gluten-free, dairy-free, paleo magic wand over some of our favorite holiday dishes, and we’re loving the transformation. 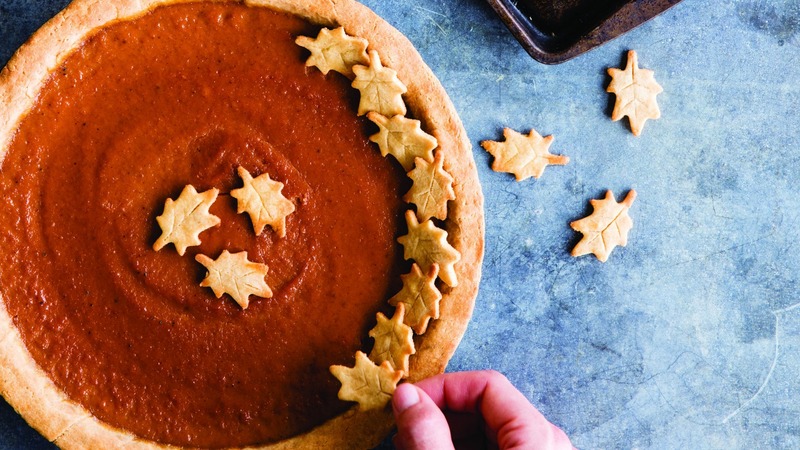 She shared a few Thanksgiving recipes from her cookbook with SheKnows just to give you a taste: curry pumpkin soup, green bean casserole and a maple pumpkin pie that just might convert you from the original. Get ready to transform your holiday dinner with these recipes. Hello, Thanksgiving 2.0! 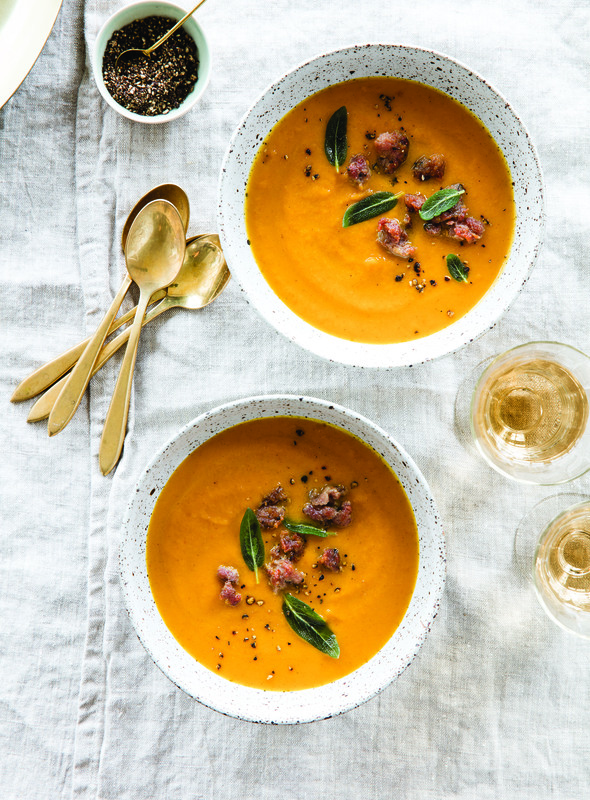 My grandmother would prepare a big batch of pumpkin soup for the adults to eat while the kids went out to get their treats for the night, and my mom took on this tradition when we were growing up. This is my rendition of the recipe she has been using for decades. Preheat the oven to 400 degrees F. Line a baking sheet with parchment paper. Cut the pumpkins in half and remove the seeds and stringy pulp. Sprinkle the flesh side of the pumpkin halves with 1/2 teaspoon of the salt and 1/4 teaspoon of the white pepper, then place the pumpkin halves cut side down on the prepared baking sheet. Drizzle the pumpkins with 1 tablespoon of the olive oil. Scatter the carrots, onion and garlic around the pumpkins on the baking sheet. Roast for 45 minutes, or until the pumpkin is soft. Scoop out the pumpkin flesh and discard the skins. Combine the pumpkin flesh, roasted vegetables and 2 cups of stock in a blender and purée until smooth. Heat the remaining 1-1/2 tablespoons olive oil in a stockpot over medium-high heat. Add the cinnamon, ginger, cumin, coriander, allspice and bay leaves. Stir constantly for 30 seconds, then add the remaining 4 cups of stock, the maple syrup and the puréed mixture. Bring to a boil, then lower the heat and simmer for 15 minutes. Remove the bay leaves. Season to taste with the remaining 2-1/2 teaspoons salt and 1/4 teaspoon white pepper. Stir in the almond and coconut milks, then turn the heat to low and keep the soup warm. Put the sausage in a skillet over medium heat and cook for 5 to 7 minutes, until browned. Add the sage leaves and continue sautéing until the sage leaves are crispy and the sausage is cooked through. Drain and serve on top of the soup as a garnish. You can substitute 6 (15 ounce) cans of organic pure pumpkin purée for the roasted pumpkins. Make the soup up to 3 days in advance and reheat over medium-low heat. To freeze, refrigerate the soup until it is cool, then freeze in an airtight container for up to 3 months. Thaw in the refrigerator overnight, then reheat in a saucepan over medium-low heat. Cook the sausage and sage just before serving. 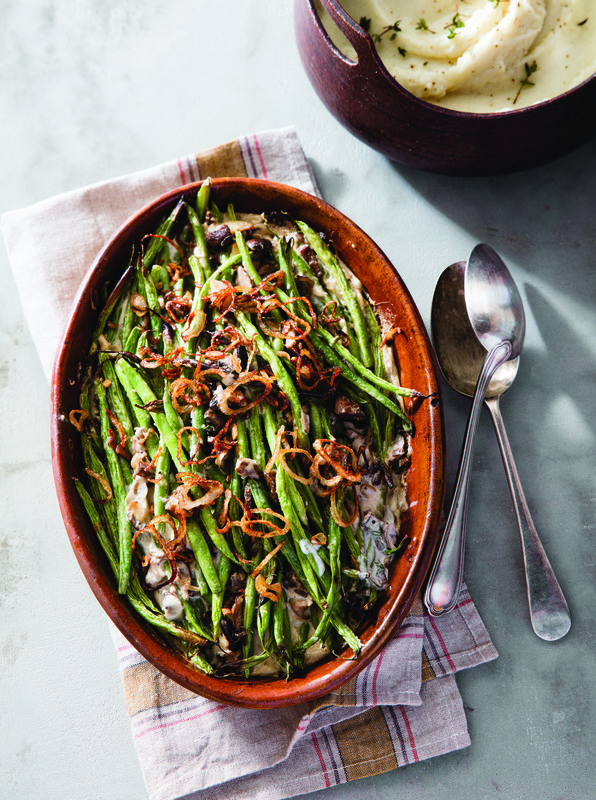 Thanksgiving just doesn’t feel the same without this creamy casserole, so I have re-created it Against all Grain–style, without the heavy cream, MSG or gluten. I could eat the mushroom sauce in this dish by the spoonful. Meanwhile, heat the ghee in a skillet over medium heat. Add the mushrooms, shallot and garlic and sauté for 10 minutes, or until the mushrooms and shallot have softened. Pour in the sherry and simmer for 5 minutes to reduce the liquid. Drain and rinse the cashews, transfer them to a blender, add the water and blend until very smooth. Add the mushroom mix, half of the stock and the salt, pepper and thyme to the blender and pulse a few times until the mushrooms are bite-size. Pour the mixture into a bowl and stir in the remaining stock. Set aside to cool for 15 minutes. Top the casserole with the crispy shallots and serve warm. Make it ahead: Since this dish involves a few steps, it’s helpful to do it in stages ahead of time. Make the sauce up to 3 days in advance and store in an airtight container in the refrigerator. Trim the haricots verts and store in a bowl of water, tightly covered, in the refrigerator for up to 5 days. Prepare the assembled casserole up to 2 days in advance, cover and store in the refrigerator. Keep reading for Walker’s Maple pumpkin pie recipe.